If you take care of data on behalf of your clients then you have to be sure you are doing all you can to protect it. When storing private data it is vital that it stays in your hands. If there is any risk at all that the data you manage could be leaked, take care of it today. Here a DataSpace UK we can’t stress this enough. In fact, we would like to take this opportunity to ensure that you are handling the data in the best way possible. This not only ensures that your clients data is safe, but that your business is safe too. By protecting data correctly you are protecting yourselves! Back in February several local councils got in trouble by breaching the Data Protection Act. They were caught putting their residents at risk and were seriously breaching their privacy. Well the best thing to do is place that data in the right hands. Here at DataSpace UK, data is our job, it is what we know and what we do best. We have many different tools that will enable you to store data, whether it is yours, or your clients, in the best way possible. From archive storage solutions to online data back up solutions and confidential destruction. All of our services are designed to protect you and your data. We work with businesses of all kinds, from small businesses to central governments and store their paperwork, data and even media tapes and images. How do I find out if I am storing data correctly? 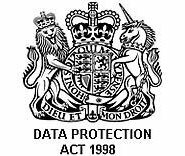 The best way to find out is to check the Data Protection Act website. You can also contact us directly at DataSpace UK. We are happy to show you the right storing facilities and how our storage solutions can meet your needs. So, why not give us a call today? We will happily discuss how you are storing your data and what you need to do to ensure that you are not breaking the rules! Protect your data, protect yourself!